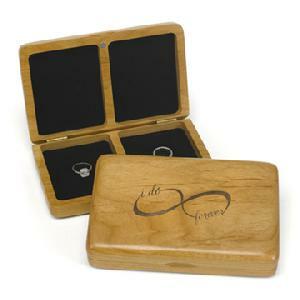 22350 - Alder wood ring box with black felt lining and etched infinity design. 7" x 4 1/2" x 1 1/2". Two compartments - one for his ring and one for hers. Contents not included.